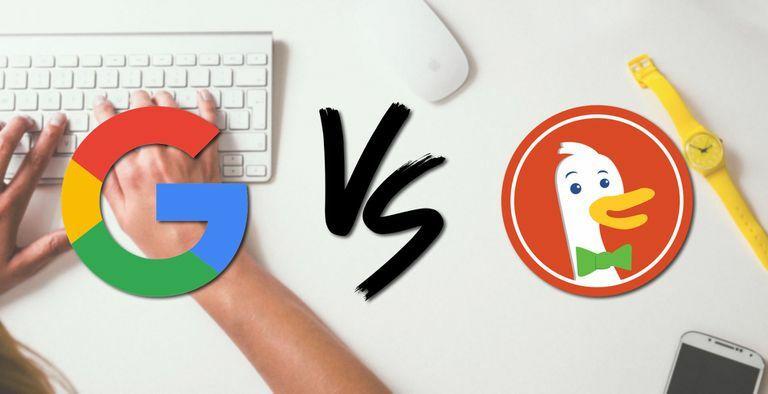 Despite efforts by others, it's come down to two search engines vying for everyone's attention: Google and DuckDuckGo. Even with Microsoft making a valiant effort, you just don't hear people saying "Bing it." At all. Despite its incredible success, Google is far from the only search engine in town. Depending on your needs and priorities, Google may not even be the best search engine. DuckDuckGo has been rapidly gaining users thanks to its privacy focus, especially in contrast to Google's omnipresent all-seeing eyes. Provides the best search results at the highest speed. Includes multiple highly-functional integrations, like mail, images, maps, translate, and more. Personalizes results based on your specific browsing history. Sometimes knows what you're thinking before you do. Broad library of web services makes novel and valuable cross-service integrations possible. Inexpensive and effective marketing tools for companies of all sizes. Tracks every move you make, even when you leave the search results. Sells ads based on user information. Advertisements take priority over organic search results. Cooperates with authoritarian regimes to restrict citizen access to information. Chief concern will always be advertisers, not searchers. Does not track users or save any search results. First priority is protecting users’ privacy. Good search results in most cases. Innovative “bangs” allow you to direct your search to specific websites. Custom visual themes make it easy on the eyes. Results are sometimes inaccurate or bafflingly poor. Mapping and image results are markedly worse. More limited selection of user-friendly features. No web services means no integration between services. Search is limited to textual search, sometimes with contextual options, which don’t always appear when expected. Search terms must sometimes be massaged to get the results you’re seeking. For many of us, Google is the slightly unpleasant co-worker we put up with because they're really good at its job. The degree to which Google tracks you is as astonishing as it is endemic to the use of their services. It saves and tracks search results, of course, but it also tracks so much more: current location, webpage analytics, web browsing history, and more beyond. Google is likely the largest tracker of human behavior in recorded history. There are, however, some benefits to the panopticon. Google's all-seeing eye helps make their search and other services more effective, and keeps them all free. Google's searches are unquestionably top notch. The search engine has an undeniable intuition for what you actually meant to search for. It's able to decode a muddled string of misspelled search terms and, somehow, return exactly what you were hoping for. That's what all their tracking makes possible: the fastest and most accurate search results. But it's not the only game in town. DuckDuckGo has been at the privacy game for years. DuckDuckGo's claim to fame is that it tracks (nearly) nothing about you. It does not attach your searches to any persistent identifier in order to build a picture of your likes and dislikes. No cookies are set by default. When they are set, it's to track user-implemented settings, and there is no method for identifying unique users. Of course, a modern search engine can't function without examining whether or not users clicked on links for a given search term. That's why search data is only collected in aggregate. No personal information, like IP addresses, UUIDs, or user agent strings, is ever attached to the results. It's not just the privacy angle, though. DuckDuckGo's "bangs" are the search engine's best feature. Named after the exclamation point that proceeds them, bangs are text strings that redirect your search terms to a specific website's internal search. Let's say that you know you want to look for a movie on IMDb: type the !imdb bang, then the movie name you're searching for. The query will be sent to IMDb, redirecting you directly to the results page on imdb.com.